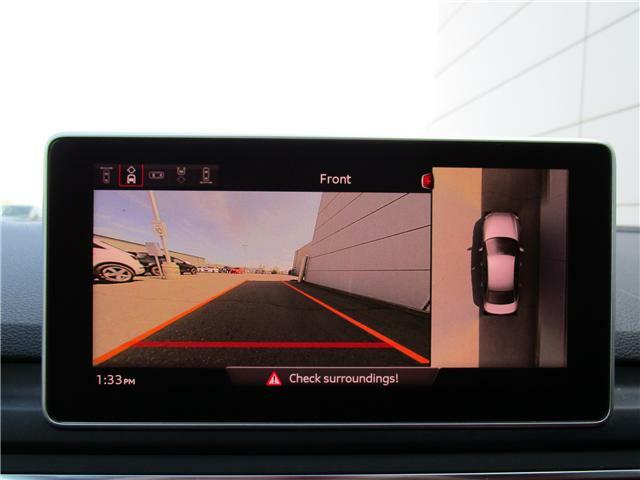 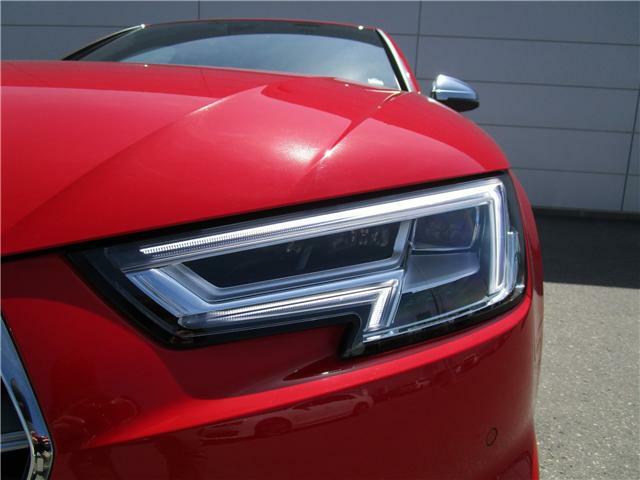 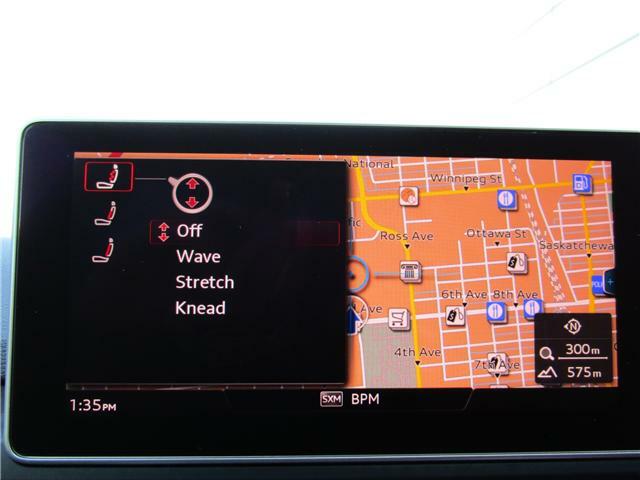 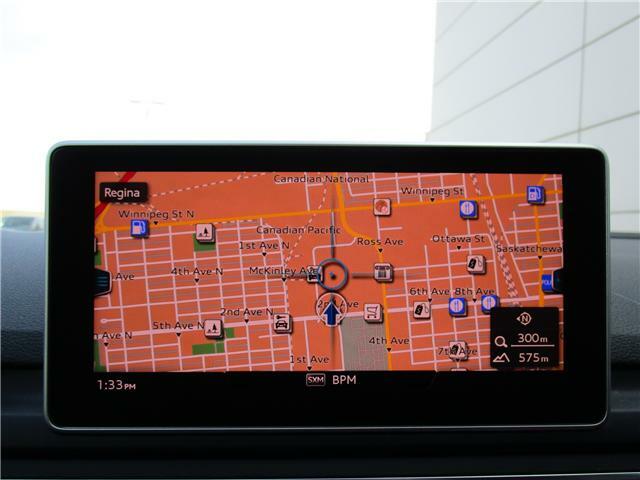 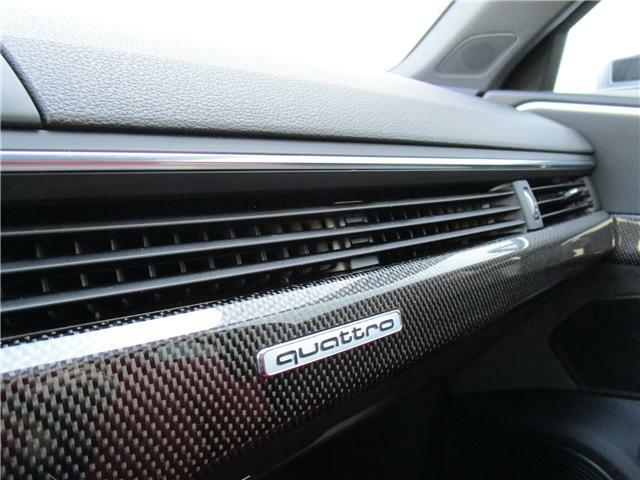 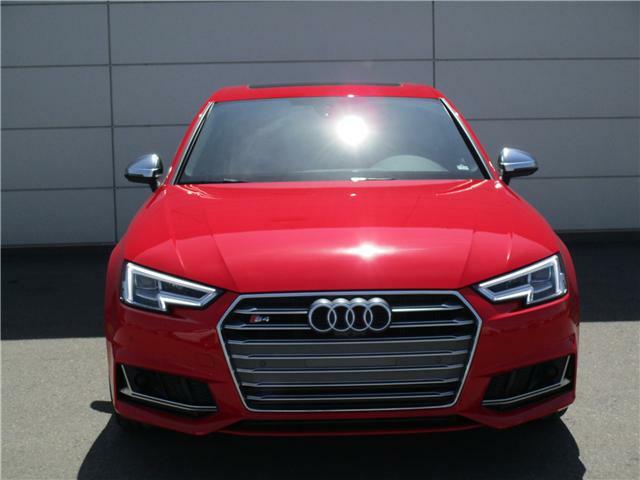 2018 Audi S4 3.0T Technik quattro with 13,500 kms. 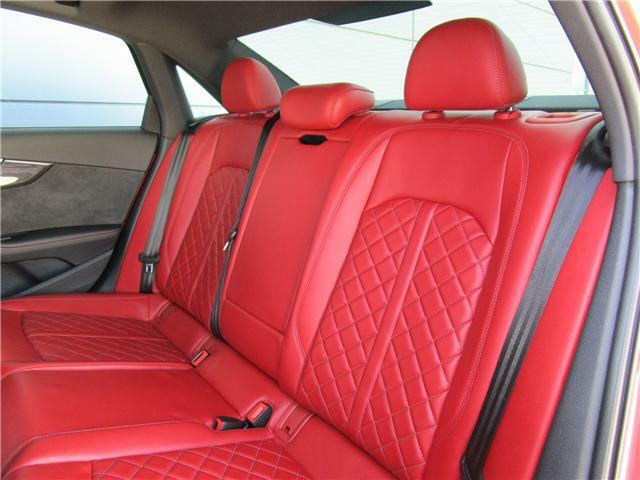 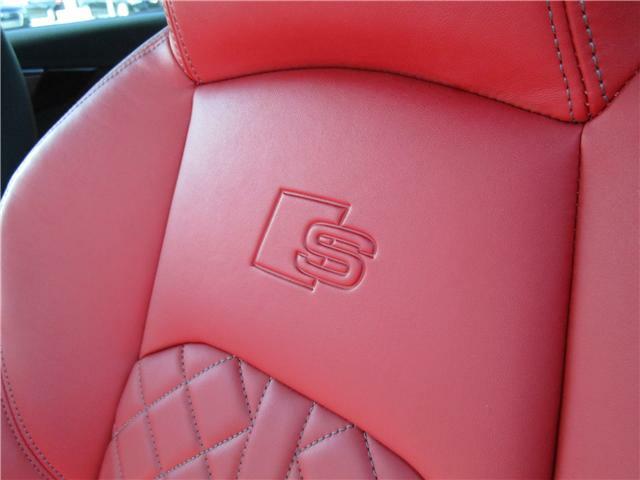 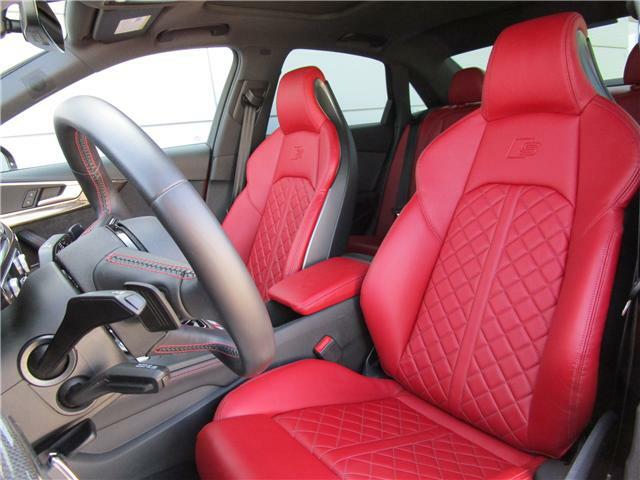 Misano red with magma red leather seats. 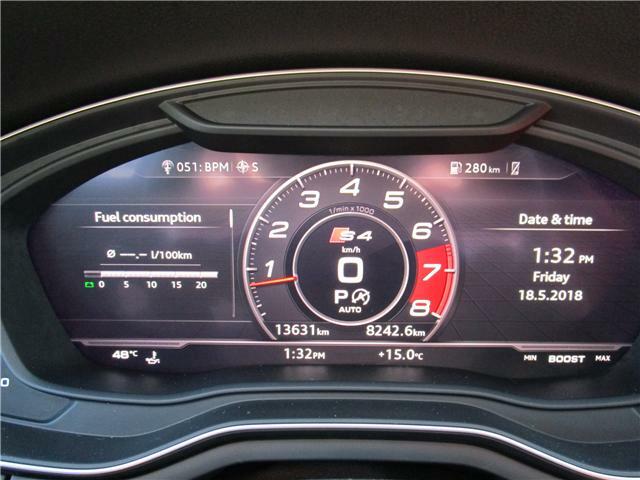 This 6 cylinder turbocharged engine produces 354 hp with 369 torque which gets you 0-100km/h in 4.7 seconds. 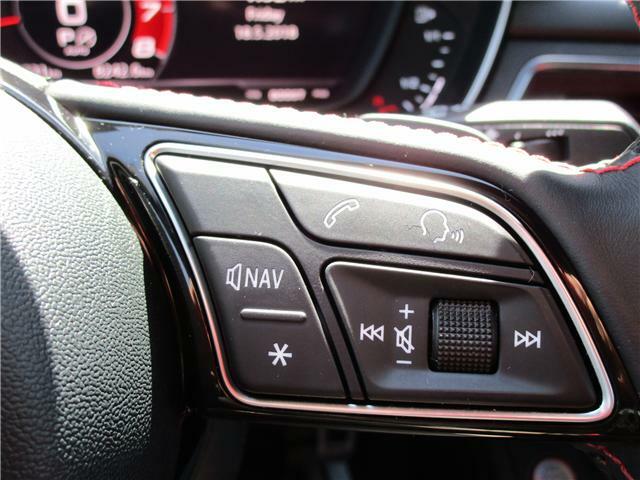 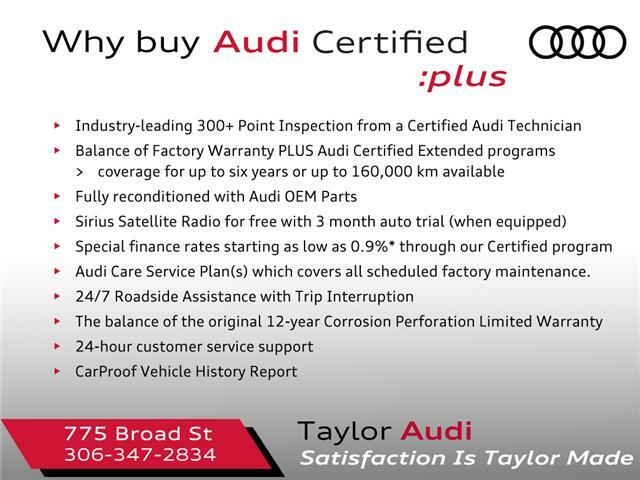 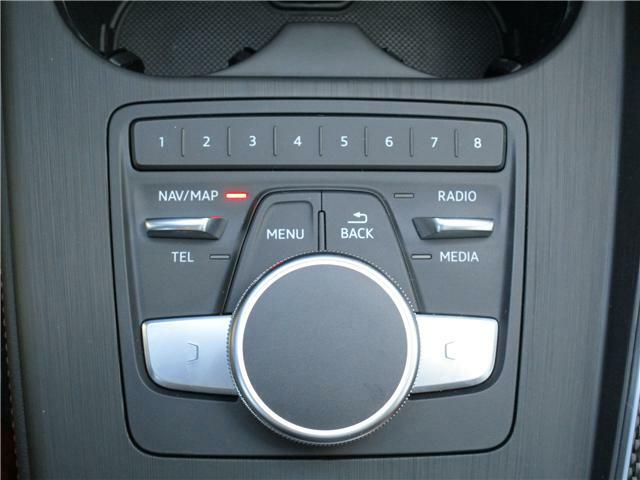 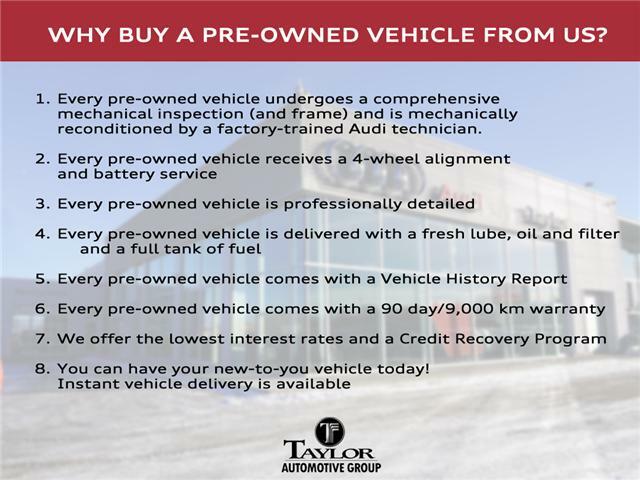 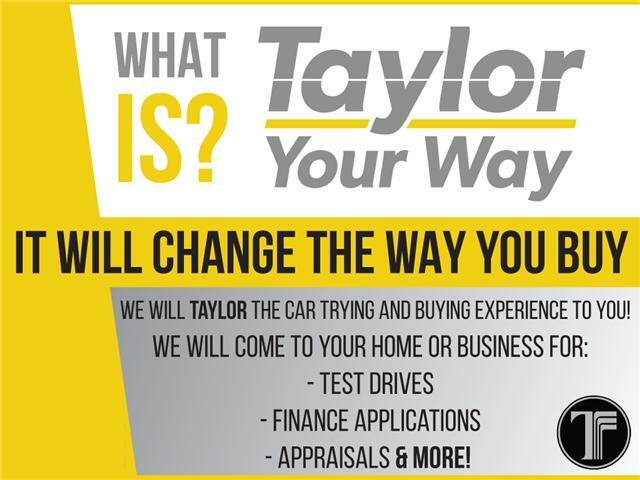 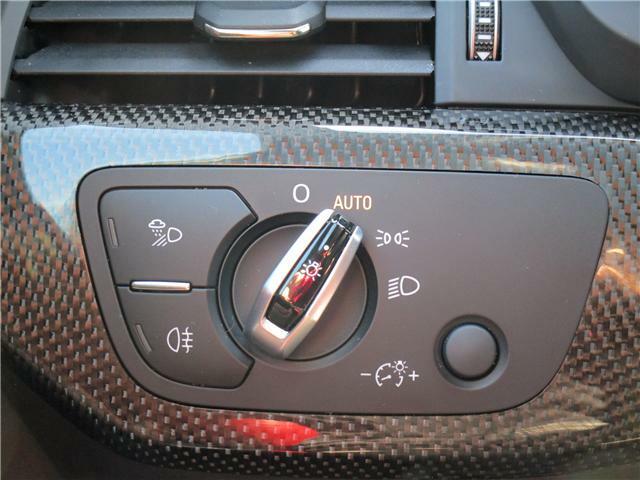 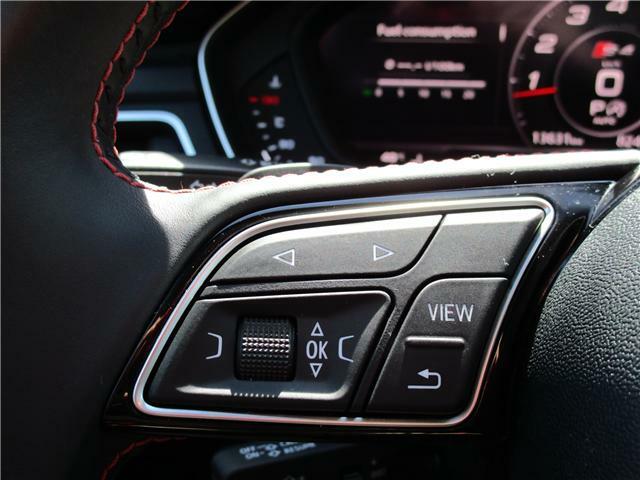 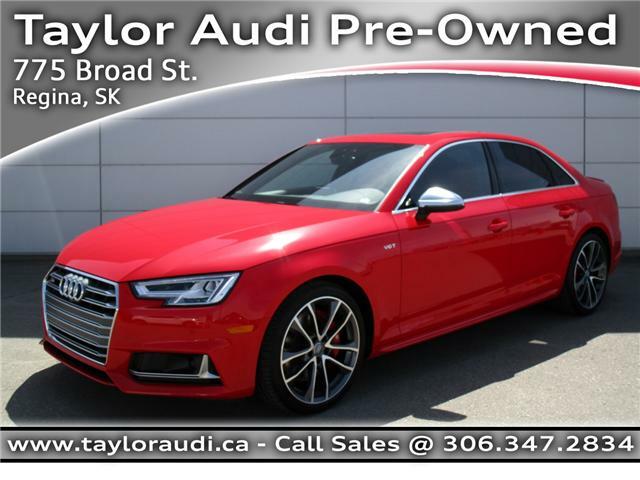 This automatic 8 speed transmission is equipped with quattro all-wheel drive features a 40/60 front-to-rear torque split for balance and superior handling. 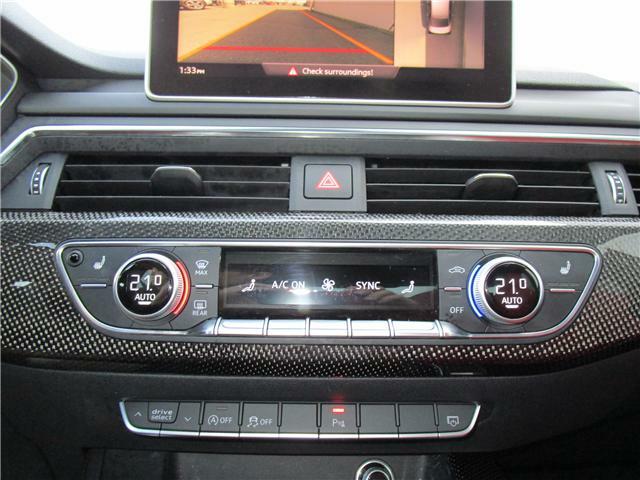 This car comes fully equipped with full LED headlamps with automatic high beams, LED daytime running lights, LED tail lights, power sunroof, leather-upholstered sports seats, power front seats with driver memory, heated front seats with massage function, split-folding rear seats, leather-wrapped steering wheel, heated auto-dimming exterior mirrors, tri-zone climate control, proximity key with push-button start, hands-free power trunk, navigation, USB port, Bluetooth, electronic parking brake, selectable drive modes, sport suspension, 19-inch alloy wheels, ambient LED interior lighting, power-folding exterior mirrors, virtual cockpit, Bang & Olufsen 3D audio system, blind-spot monitoring, and a 360-degree parking camera. 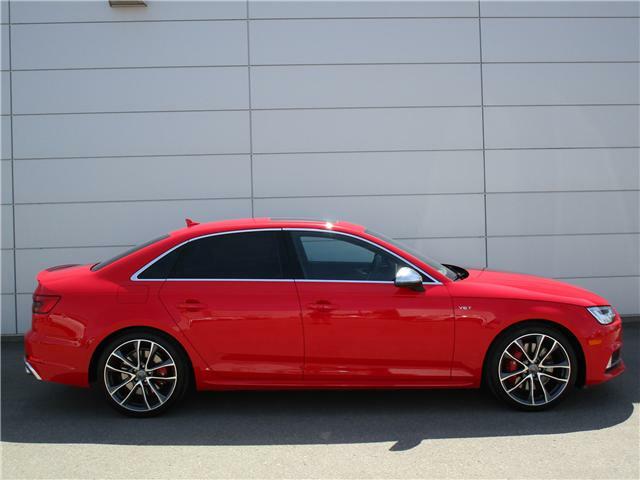 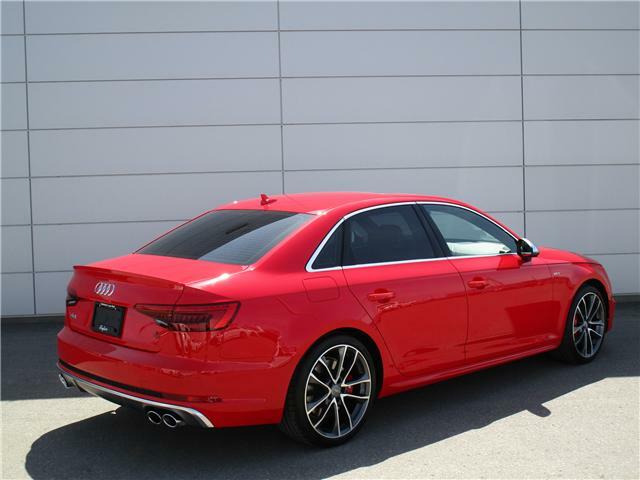 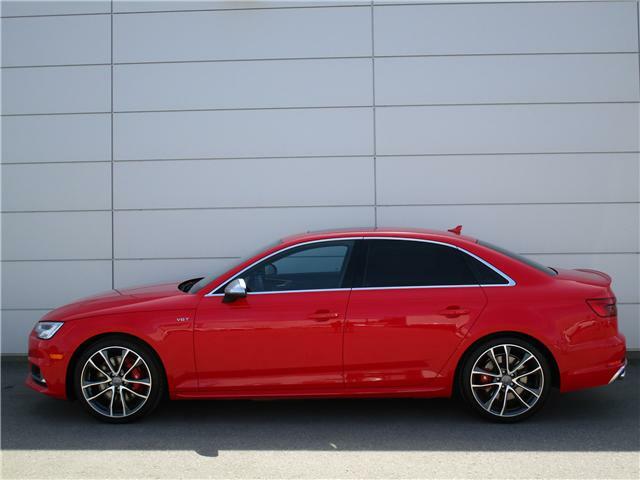 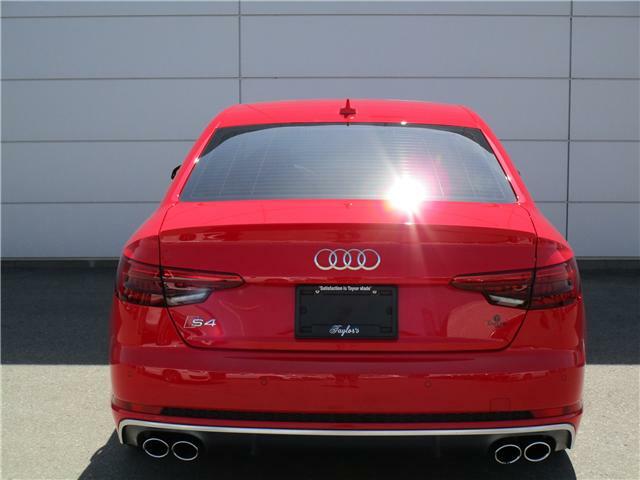 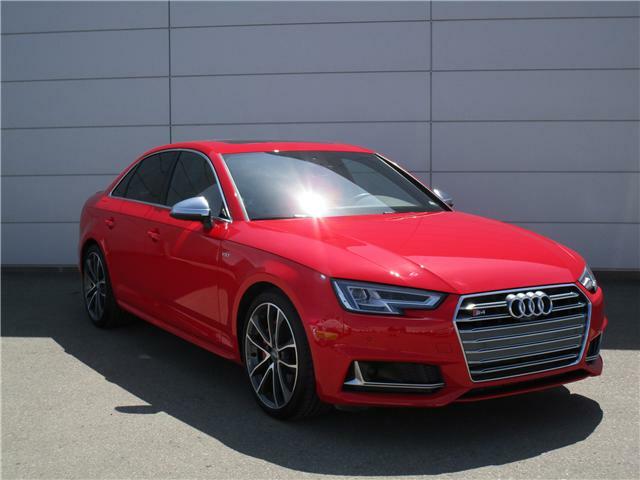 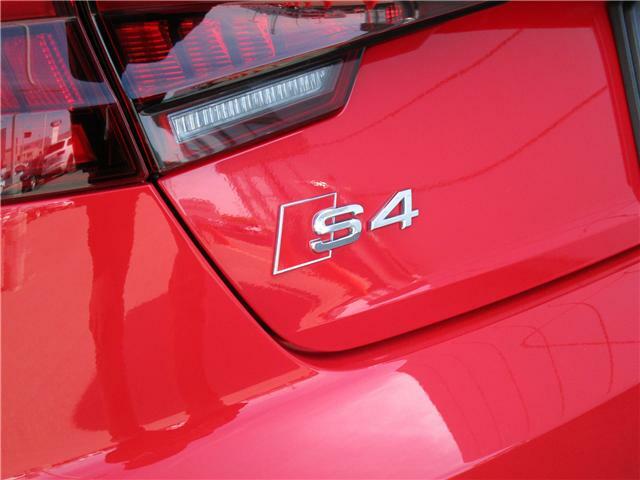 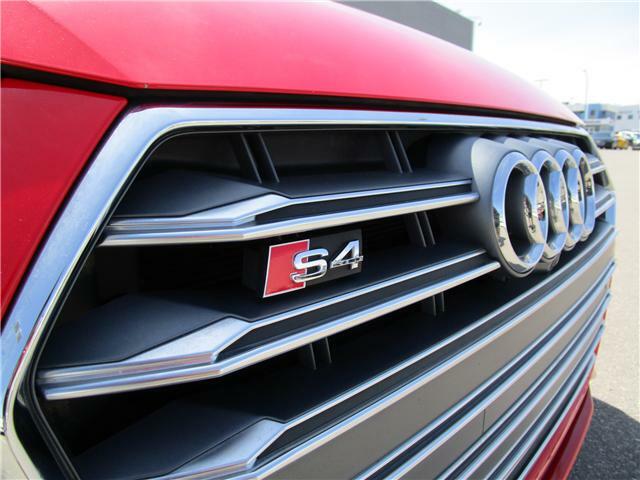 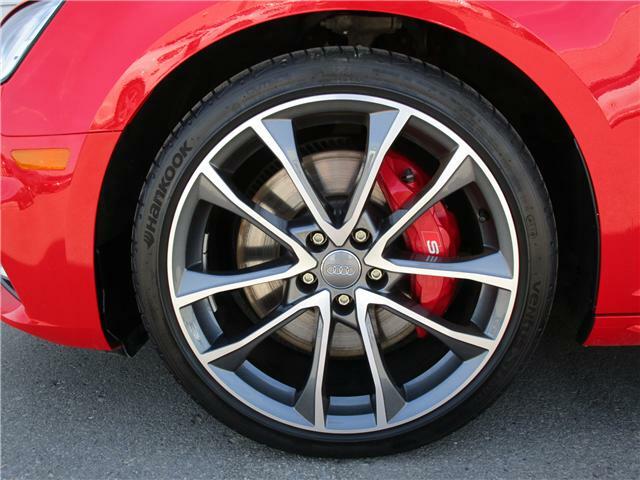 This S4 is also optioned with advanced driver assistance, carbon atlas inlays, red brake calipers and quattro w/ rear sport differential.